Thanks to puberty, skin can be all over the place when you’re in your teens. Hormonal changes can mean your skin has problems with breakouts, clogged pores, and oiliness (hormones called androgens increase the production of oil (or sebum) from the sebaceous glands. Dead skin cells stick to this oil and block the pores, resulting in blackheads, and bacteria which builds up in these clogged pores leads to breakouts. 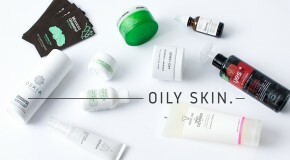 The best thing to do is introduce a proper skincare routine and stick to products that are simple and gentle to keep your skin calm, clear, and balanced. Teen skin does a good job of exfoliating itself, so you it’s important to avoid using abrasive cleansers or scrubs which can dry out your skin and cause it to over-produce oil and clog pores. This gentle and refreshing gel allows you to remove morning oiliness without stressing out your skin, and it contains AHAs which gently exfoliate to break down pore-clogging buildup. 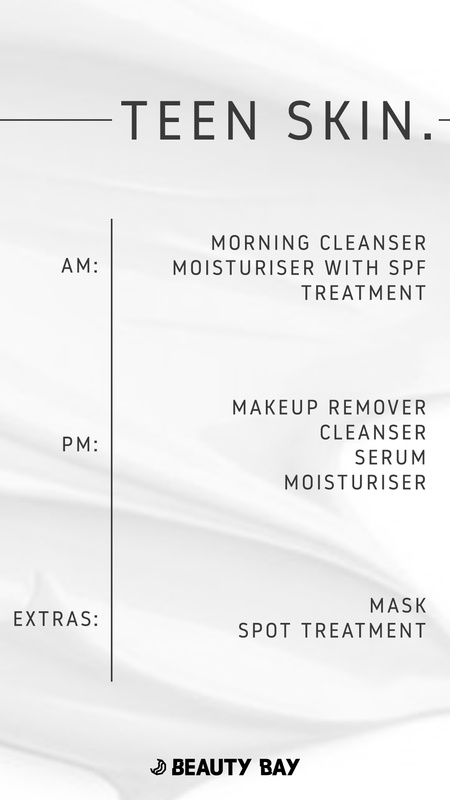 Follow your morning cleanse with a lightweight moisturiser to maintain hydration throughout the day. This one spreads easily and has a non-greasy texture that means it sits well under makeup and will put an end to any more shiny photo faces. What’s more, the formula is specifically made for sensitive skin, so it’s incredibly gentle and soothing. No matter how tempting it is, never squeeze your spots. This not only makes them worse (by pushing bacteria into the skin) but also means they’re more likely to scar or leave behind a mark of pigmentation. 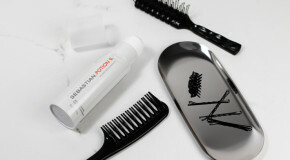 Use a salicylic acid-based treatment to reduce redness and inflammation. 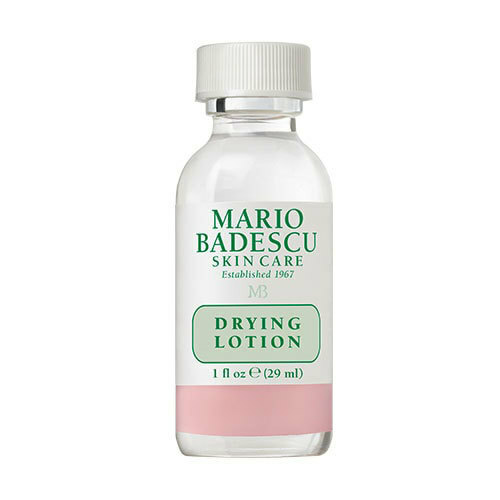 This one has a thin, transparent formula which dries instantly (and without residue), making it perfect for wearing in the day and under makeup. If you wear makeup then you’re going to want to get that off your face as soon possible – it’s absolutely essential to remove your makeup in the evening – leaving it on overnight will lead to clogged pores and breakouts. A micellar water is the easiest and quickest way to remove makeup, and it’s also way better for your skin than face wipes. You may have heard of second-cleansing – the process of using two separate cleansers to make sure your skin is super clean before you apply any more products. Micellar waters lift away makeup and surface residue, but follow it up with a more efficient gel or cream cleanser to remove deeper-rooted impurities. 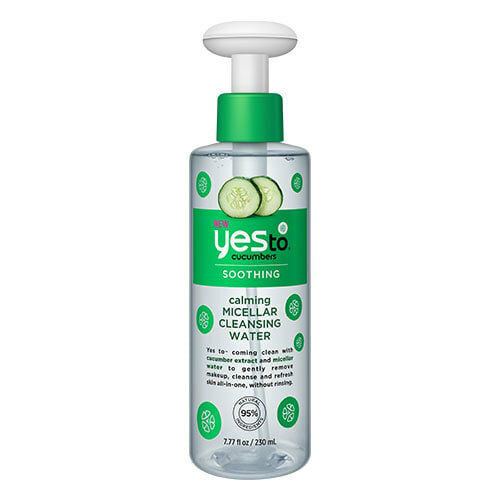 This refreshing gel cleanser does just that, and leaves skin feeling smooth and refreshed. If you’re looking to introduce a serum into your routine, niacinamide is a safe place to start – it’s a good all-rounder because it has benefits for all (including sensitive) skintypes. 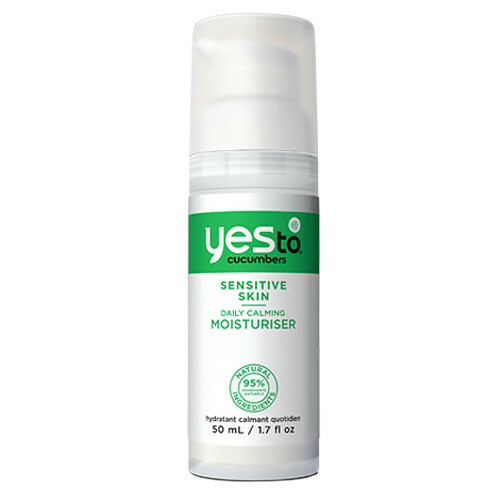 Ultimately, it ticks a lot of boxes for teen skin – it balances oil and sebum production, reduces the appearance of blemishes, helps to fade the pigmentation left behind by breakouts, and strengthens the skin’s barrier (to keep blemish-causing bacteria out). It’s important to keep skin hydrated – hydrated skin is healthy skin, and healthy skin is stronger and can heal itself faster. If your skin can’t quite make up its mind (oily here, dry there), this refreshing gel formula will cater for both – soothing dry patches without being overly greasy. 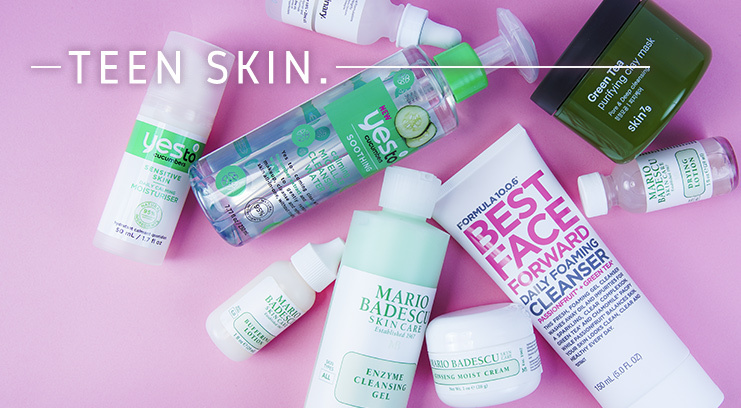 Layer it on thick overnight to wake up to a radiant complexion. 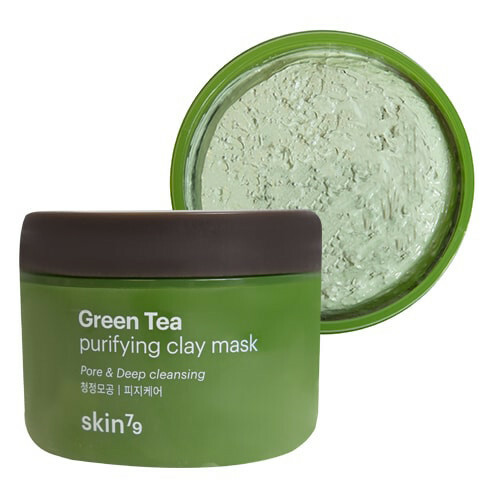 Clay-based masks provide a really deep cleanse, so will help to remove excess sebum and dead skin cells, and will clear and prevent breakouts. Because clay can be quite drying, you’re not going to want to mask every day – once or twice a week will do just fine. You might also find that you break out a few days after using a face mask, but this is just your skin getting rid of impurities. 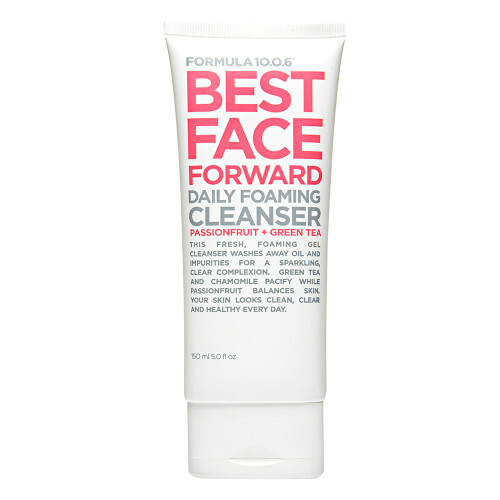 This one is especially good for toning down redness and clearing blackheads. 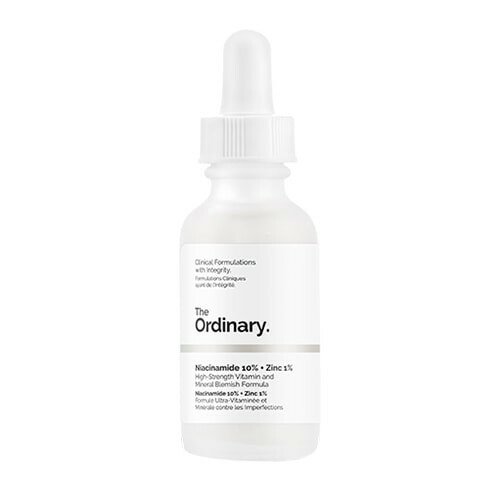 Target blemishes overnight with a spot-on treatment – most contain a super strong blend of ingredients like zinc, salicylic acid, and calamine, powerful enough to stop breakouts as soon as you feel them coming. Kylie Jenner (and over 600 Beauty Bay customers) give five stars to this iconic glass bottle, the contents of which will literally obliterate spots in your sleep.